French Activities By Seasons. I love celebrating all the different holidays and seasons with my students. It's a wonderful way to introduce culture and bring some more fun to the classroom. The following are the activities that I have used in my own classroom and my kiddos always loved them! 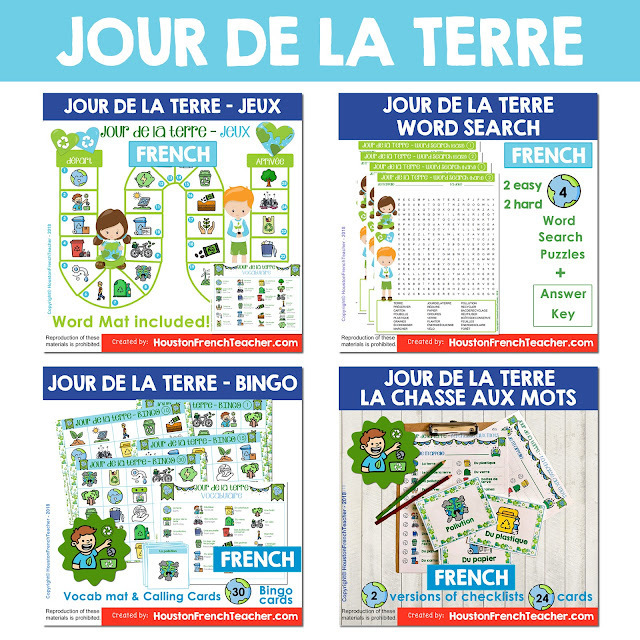 >> JOUR DE LA TERRE (French Earth Day) Here is the link to all the JOUR DE LA TERRE (French Earth Day) resources on the HoustonFrenchTeacher TPT Store. >> PAQUES (French Easter) Here is the link to all PAQUES (French Easter) resources on the HoustonFrenchTeacher TPT Store. 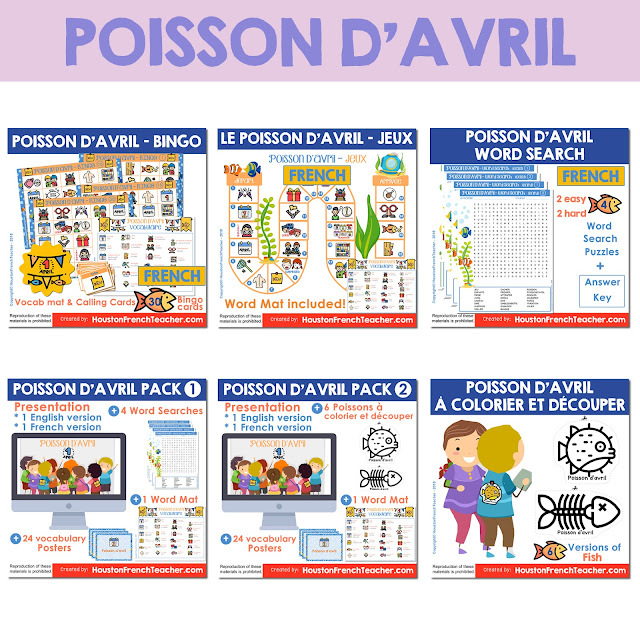 >> POISSON D'AVRIL (French April's Fools) Here is the link to all the French April's Fool (Poisson D'Avril) resources on the HoustonFrenchTeacher TPT Store. 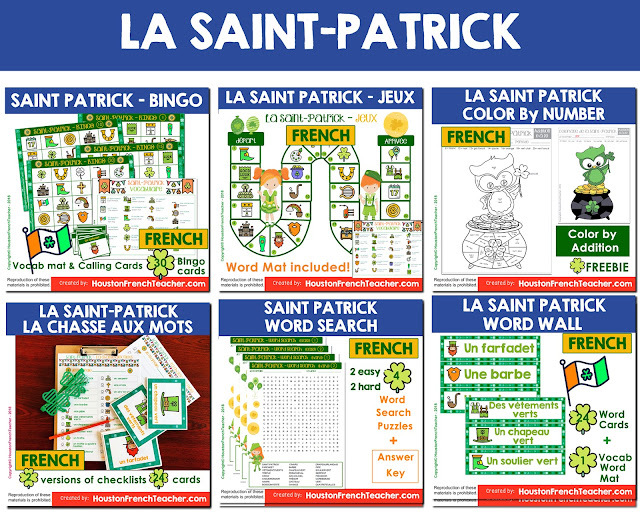 >> LA SAINT-PATRICK (French Saint-Patrick) Here is the link to all the French Saint Patrick (La Saint-Patrick) resources on the HoustonFrenchTeacher TPT Store. 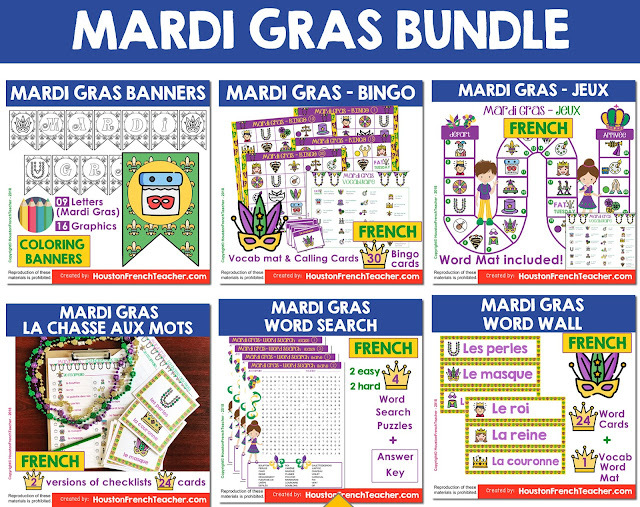 >> FRENCH MARDI GRAS Here is the link to all the French Mardi Gras resources on the HoustonFrenchTeacher TPT Store. 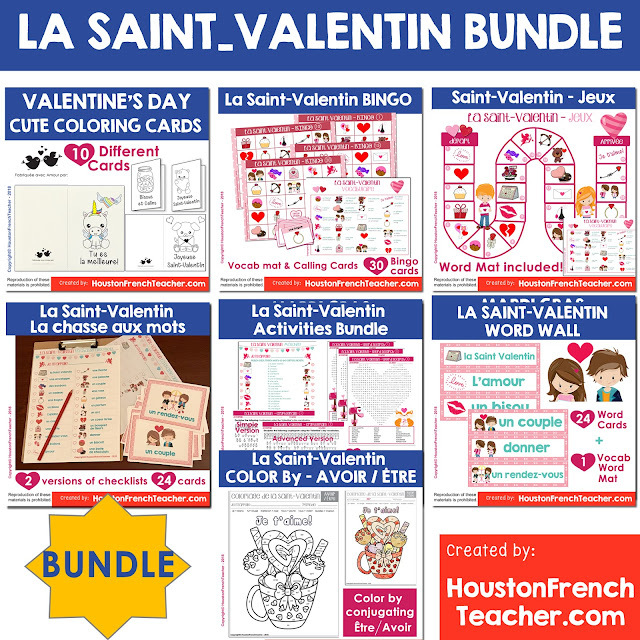 >> LA SAINT-VALENTIN (French Saint-Valentin) Here is the link to all the French Saint-Valentin resources on the HoustonFrenchTeacher TPT Store. 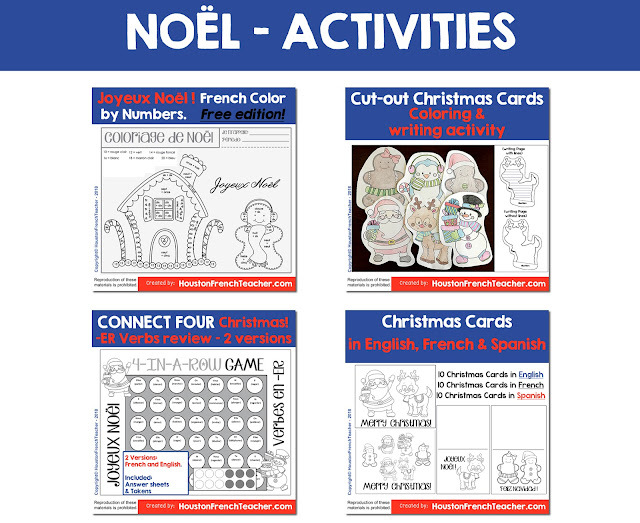 Here is the link to all the French Christmas resources on the HoustonFrenchTeacher TPT Store.